Flexible grazing with a portable fence inside a permanent fence. 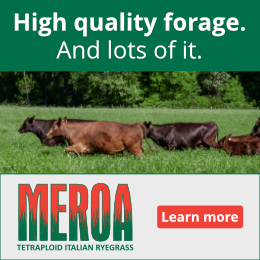 Managed grazing means gaining more control of your grazing. When we built our first grazing system 25 years ago, portable fencing using reels and polywire were not part of the equation. Not that there wasn’t polywire and reels, just that I didn’t see how they could work! Every time we wanted to gain more control over grazing I had to build another hard wired paddock. Our farm is not flat and laid out with straight 40 acres squares but is sloping and irregular and has creeks and woods and other obstacles which makes building the perfect, identically sized, square grazing systems you see drawn up in the books about impossible. What we ended up with as I built these smaller and smaller paddocks was a large number of paddocks of various sizes and configurations with lanes leading to water. Looking at our aerial of the farm from that time it looks like a giant’s absent minded doodling. Irregularly sized paddocks made it difficult to estimate the amount of forage in the paddock, therefore making it difficult to know when the cattle need to be moved. This made it hard to establish a pattern, so the moves to new paddocks didn’t happen at the same time every day. Livestock, as do most people, like events to happen in a predictable manner. When the moves to new grass are done at a different time each day, it leaves the cattle to wonder when and if their next meal is going to be served, thereby causing stress in the herd. As we became more and more confident in portable fencing and portable water we began building the hard wired paddocks with portable fencing in mind. Good portable fencing and water systems allows us to be flexible in our grazing and also more precise about the amount of forage we give the cattle to graze each day. This allows us to develop predictable daily patterns for moving the cattle, which I think they appreciate. We now lay out our farm with flexibility in mind. We build a framework of hi-tensile permanent wire that are easy to divide with portable fencing. The framework provides borders and supplies power to the paddocks, and is built to last decades. Instead of the little squares and triangles of the past, we now aim more for long rectangles in our hard wired fencing. Rectangles make for shorter distances rolling out the polywire and easier for machinery to maneuver if you decide to hay or fertilize your paddocks. 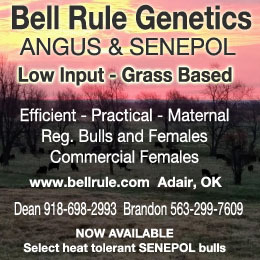 We move cattle as often as three times a day and as infrequently as every 4-5 days. On average we move daily, but by using poliwire within the frame work of permanent fencing, we choose how large a paddock to build every day. In twenty minutes of rolling out polywire and sticking in posts I can choose to give a herd of 200 cows, two hours or two weeks of grazing. It allows us to try ultra-high density grazing without any added inputs or allows us a weekend off from moving cattle, just by adjusting the area size we’re allowing them to graze. A good book for helping to build a system is Management- intensive Grazing by Jim Gerrish. Well written and concise it not only gives ideas on paddock layout, it gives very good advice on almost all aspects of managed grazing. 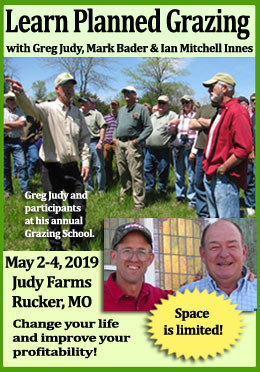 Finding a grazing group in your area that conducts periodic farm tours is also a good way to see first hand what works in your area. 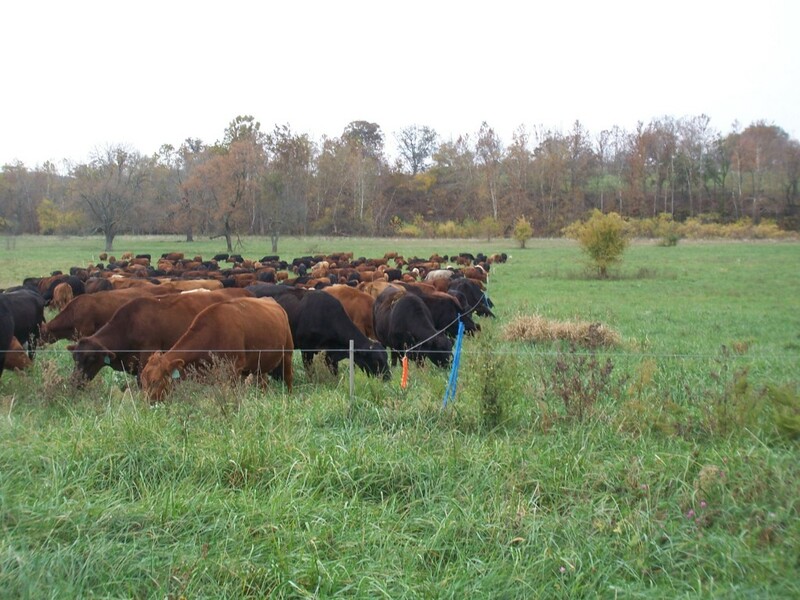 We set up our pastures similarly, making 8 long “super-“paddocks, and have been very happy with it. With fewer cows, we actually just strip-graze it, moving the leader polywire fence a couple times a day, and a follower every 2-4 days. But could set up flexible-sized paddocks as well. It allows for all those points mentioned: variation of grazing intensity and pressure, variation of time between movements, larger fenceless areas when clipping, etc.